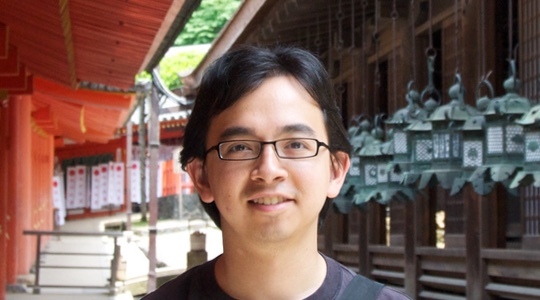 Michael Yoshitaka Erlewine mitcho Singapore Assistant Professor National University of Singapore. I am an Assistant Professor in Linguistics at the National University of Singapore (Department of English Language & Literature). I study the structure of sentences (syntax) and how these structures map to meaning (semantics). Much of my work is based on fieldwork on understudied languages, especially of Southeast Asia. I received my Ph.D. from MIT Linguistics in 2014. In a previous life, I was active in the Mozilla (Firefox) and WordPress open-source communities. See the Projects page for descriptions of projects and downloadable papers. May 2019: SALT 29 at UCLA, presenting “Ingredients of excess: A study of Vietnamese quá” with Anne Nguyen. 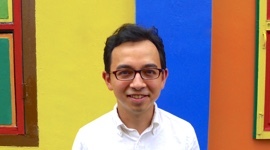 June 2019: A workshop on Approaches to Wh-Intervention at NUS, co-organized with Kenyon Branan. Call for papers deadline extended! March 2019: I received the NUS Faculty of Arts and Social Sciences Award for Promising Researcher! And they wrote a profile. Paper published, February 2019: “Wh-indeterminates in Chuj (Mayan)” in the Canadian Journal of Linguistics. January 2019: I began serving on the Editorial Boards of Natural Language & Linguistic Theory and Journal of East Asian Linguistics. Send us your best work! “Clausal comparison without degree abstraction in Mandarin Chinese” in Natural Language & Linguistic Theory, May 2018. Workshop on Current Issues in Comparative Syntax at NUS, March 2018. “The typology of nominal licensing in Austronesian voice languages” poster with Ted Levin and Coppe van Urk, LSA 2018. “Vietnamese focus particles and derivation by phase” in the Journal of East Asian Linguistics, November 2017. Workshop on Quirks of Subject Extraction at NUS, August 2017. I also presented my own work on anti-locality approaches to quirks of subject extraction.